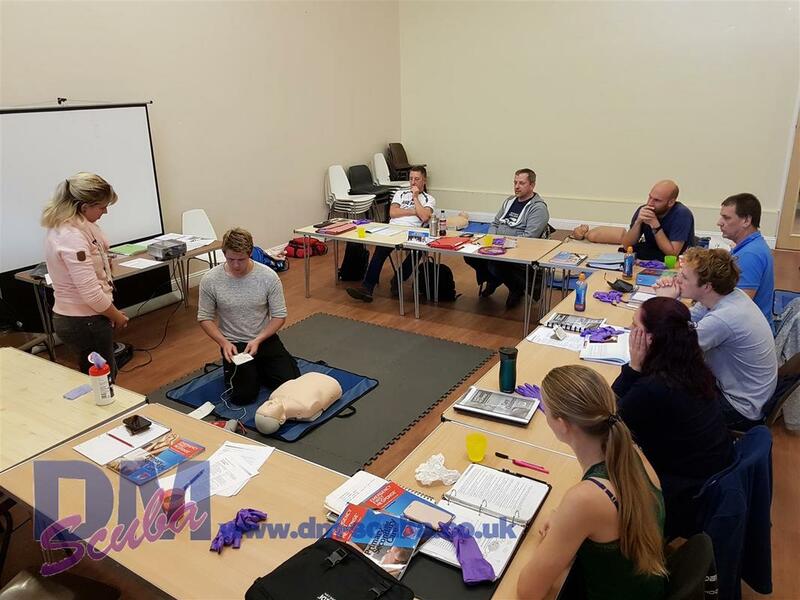 The Emergency First Response Instructor Course provides you with the additional training necessary to teach the Emergency First Response Primary Care (CPR), Secondary Care (First Aid), Care for Children and First Aid at Work Courses. This course builds on your skills as a primary and secondary care provider and focuses on developing your instructional abilities. Through independent study, classroom sessions and practical teaching assignments, you learn to conduct Emergency First Response courses. The instructor course covers specific goals and performance requirements for each of the above-mentioned programmes, along with instruction on how to structure learning, the requirements of performance based training, and your own role in the learning environment. You also learn how to motivate students, how to evaluate student knowledge, how to present course content effectively, become proficient in developing students’ hands-on skills, and are taught how to present an effective scenario-based learning experience. The Emergency First Response Instructor programme is open to all who have completed the Emergency First Response Primary, Secondary and Care for Children Care Participant Courses within the past 24 months, and to medical professionals such as physicians, Emergency Medical Technicians, Paramedics and Registered Nurses. Individuals who are current CPR/First Aid instructors with another qualifying organisation may choose to earn the Emergency First Response Instructor rating by completing the Emergency First Response Instructor Crossover Programme. This programme gives credit for past teaching experience and focuses on familiarising candidates with the Emergency First Response programme philosophy and structure. 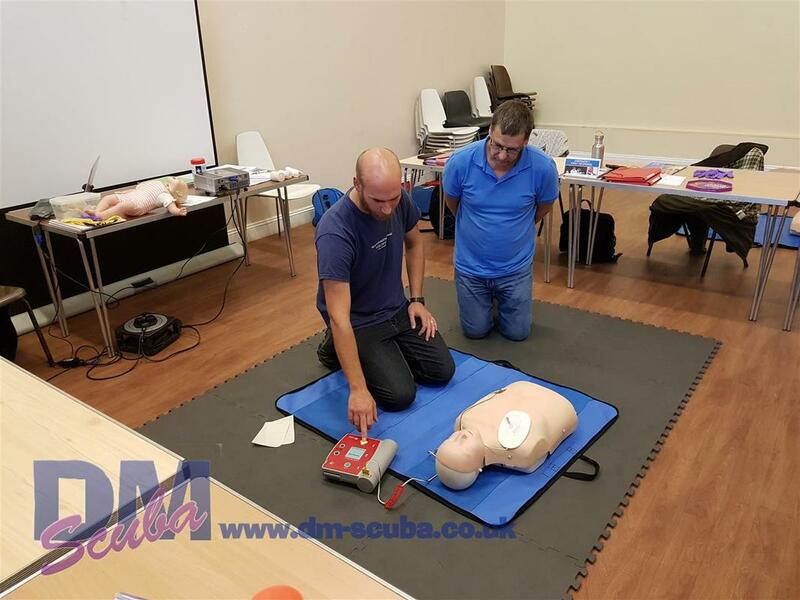 The Emergency First Response Crossover Course is open to all CPR/First Aid Instructors who hold current teaching credentials from another CPR/First Aid training organisation. Why add more work to your OWSI course when you can complete the EFR Instructor course beforehand! Spend time focusing on your OWSI course and complete the EFR Instructor course with us. There will be no rush and plenty of time to go over anything making sure your teaching skills are second to none! Once completed you just have to then study for the IE! 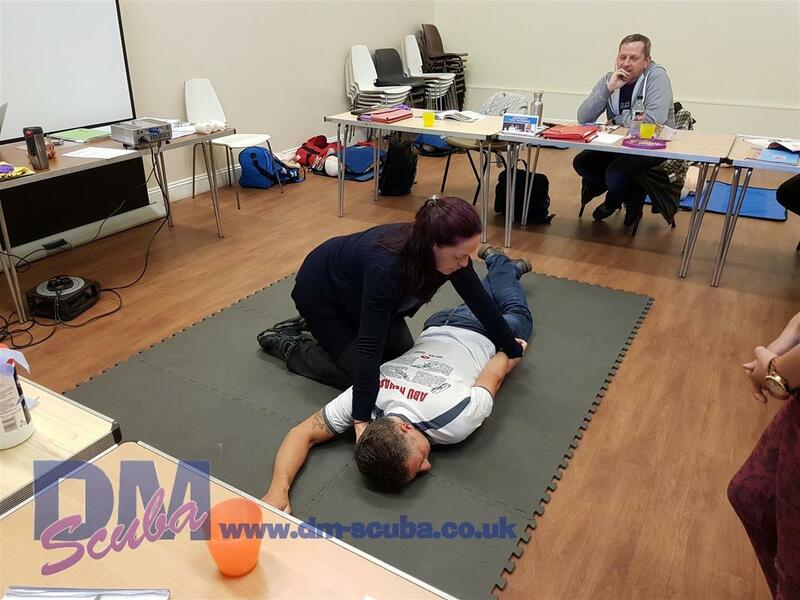 As DM Scuba has it's own in-house EFR Instructor Trainer, we can run this course anytime to suit you!